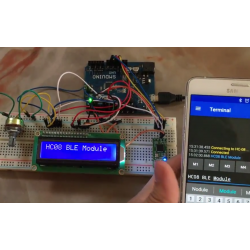 HC-08 is a Bluetooth 4.0 low energy module, it can easily connect to iOS 5 and Android 4.3 or above by using a serial terminal app. 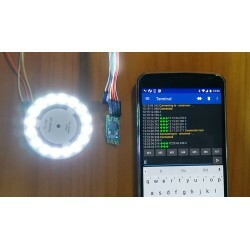 You can use the Bluetooth communication up to 87 yards (80 meters) with this Bluetooth BLE module. It also runs on a 2.4GHz frequency. The chipset is CC2540 with 256K Byte space. You can change the role and serial baud rate and it supports AT commands for configuration. It is very small in size, 1.1 x 0.5 in (26.9 x 13mm). The PCB thickness is 0.03 (0.7mm). Half-cut holes run along the lengths of the board, so it’s very easy to embed into your own project. It also has Tx and Rx 2.54 pin out, from which you can do a quick function test. Included are 90-degree male header pins. 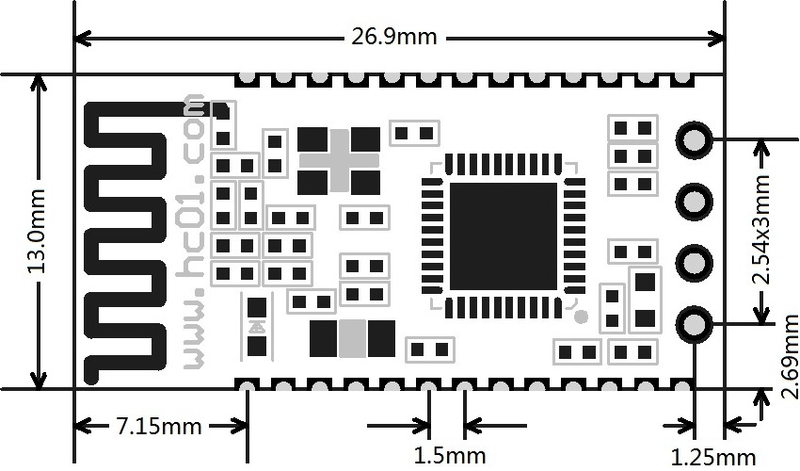 HC-08 is a relatively new module made by an experienced Bluetooth design and manufacturing supplier in China. It’s mass produced and therefore well-tested. It can be incorporated into products or projects without worrying about being able to get it again. It’s already widely used in many Bluetooth projects. A Bluetooth 4.0 BLE module and a powerful little board that you can use to create IoT projects or control things with a phone or tablet app. 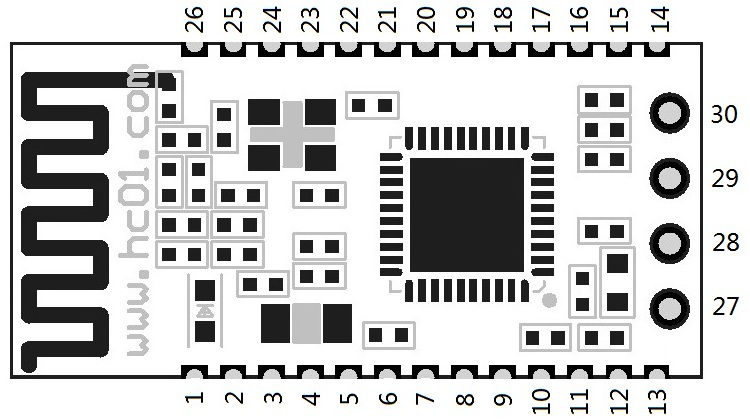 Based on the BC417 chipset, this Bluetooth 2.0 module will serve as master and slave in one unit, allowing up to 10 meters (roughly 10 yards) or wireless data transmission..